HARRISBURG, PA: The Pennsylvania Gaming Control Board announced today that it has added a 2nd day next month at Lincoln Financial Field to collect public input for the awarding a casino license in Philadelphia. The session, to be held May 9, 2013 from 9:00 a.m. to noon, will be in addition to the previously announced date of May 8th from 9:00 a.m. to 5:00 p.m. The additional session has been added because all of the available spots for that first day of hearings have been filled. The hearings at the stadium will be held on both days in the Red Zone Lounge. Those who have yet to testify before the Board at the recent hearings at the Pennsylvania Convention Center or were unable to secure a spot for May 8th, can now register to speak by visiting the Board’s web site, www.gamingcontrolboard.pa.gov. Registrations are first-come, first-served. Complete information on the public input hearings, along with instructions on submitting written testimony can be accessed from the Quick Links section of the web site’s home page titled “Philadelphia Casino Applicants Information”. 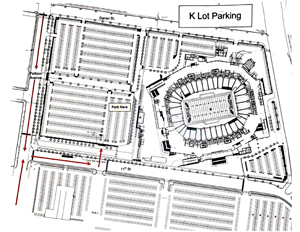 A map of the stadium area is also available on the web site to assist those attending with parking. Public input hearings provide a forum for individuals to voice their support or opposition to a proposed casino in their communities. Information received by the Board during these proceedings will be included in the record upon which the Board will grant or deny licenses.